It is against EU's interest to promote separatism. Europe would risk fragmenting more, making member states and the European Union less competitive. The EU should not and cannot intervene as it is a union of Member States. Therefore, it should not and cannot be partisan of secessionist movements of one of its Member States. Catalonia is already one of the regions with greatest autonomy in Europe. Other regions with similar separatist movements are given less autonomy. This gives the Catalan governemnt (which has almost always been Catalan-nationalist) a lot of space to promote their ideology, such as through public TV, education, and other Catalan-controlled institutions. 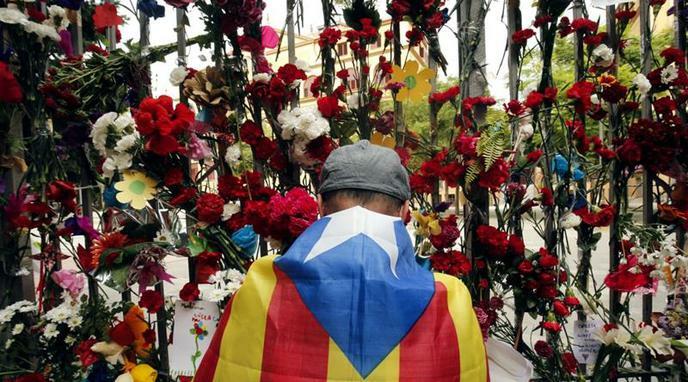 Catalan separatism is mostly pro EU, gaining a true European nation could strengthen the union. If the most important objective of the European Union is becoming a European Federation, splitting up all European nation states would be the best way to do this: small and powerless states need to unite in order to defend themselves and their interests. Mediating between the national and the regional government to avoid the conflict escalating does not necessarily mean the EU would be promoting separatism. Assuming that the EU interest is effective decision making, it is unanimity, not number of member states, what is blocking effective decision making. With qualified majority voting, additional member states do not impact the decision making process.